Dam engineers Beavers have long been recognized as the engineers of the forest, constantly reshaping their surroundings. Beavers are one of the largest rodents on Earth and they are considered as “engineers” of the animal kingdom in North America. 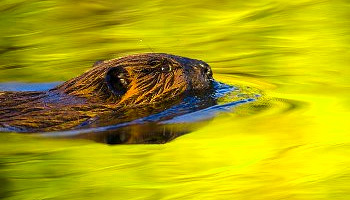 The beaver is the largest rodent in all of North America, about 4 feet long and weighs at least 60 pounds. The average lifespan of the beaver is 12 – 20 years. Beavers are water animals and exist on a diet of bark, twigs and buds of trees. They are excellent swimmers and wood cutters, and they use the trees they chew down not only for food, but also for building lodges and dams. Beavers have notoriously sharp incisors to cut and shape trees, so that they can build dams. The beaver&apos;s front teeth aids in gnawing at bark and behind the front teeth lays a special flap of skin which keeps the beaver from ever getting a mouth full of water as he chews underwater. The beaver also has similar unique flaps of skin valves which prohibit the nose and ear canals from filling with water, as well. Their immense power and skilled movements make it possible for them to down a tree in less than 5 minutes. 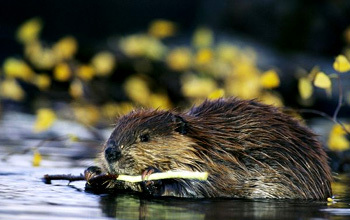 With the unique respiratory system, the beaver is able to remain underwater for periods of up to 20 minutes at a time. The tail of the beaver is unusually broad and covered in scales. The beaver uses his tail like a rudder to maneuver through water. It is also used as a communication tool. It is common for the beaver to slap water with his tail to warn others of impending danger. Beavers are efficient in building incredible dams Beavers are perhaps the most famous animal architects. They fell huge trees to create dams, which they build to form still ponds where they can construct their winter homes, or lodges. Beavers do more to shape their environment than almost any other animal species on Earth, building characteristic dams from trees and plant matter to house themselves and store food. 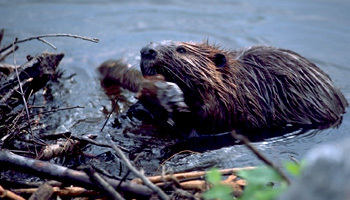 Many humans have continuous relationships with beavers as a result of their dam building. Beavers are actually a crucial species in the natural world. Many organizations work to bridge the gap between humans and beavers to create a habitat that works for all. The dense brown insulating fur of the beaver is a highly desirable animal product, and beavers were trapped to a dangerous point before several governments stepped in to save them. Beavers build dams, change river flows and change the world more than any other creature besides man. They&apos;re quite good architects and take water flow into consideration when building straight dams on trickling waters and curved dams in raging rapids. These Nature&apos;s engineers take just a few days to build a basic dam! 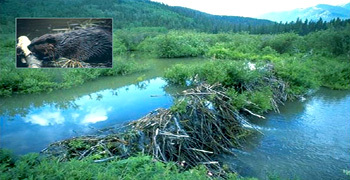 Beaver homes – far from predators Beavers make their complex domestic arrangements to improve security from predators. The ponds also improve security and must be deep enough for a family of beavers to swim under winter ice from their lodge to the hidden food. Beavers make their complex domestic arrangements to improve security from predators and to move and store a reliable food supply. Dam building is only one of their construction activities, along with canal building and lodge building. The dammed–up ponds make an important contribution to the beavers well–being by creating storage at the right depth to stash a winter&apos;s supply of bark, twigs, roots, and leaves at temperatures above freezing, but cool enough to keep their nutrient value intact. They build dams for protection from predators and as shelter throughout the winter. 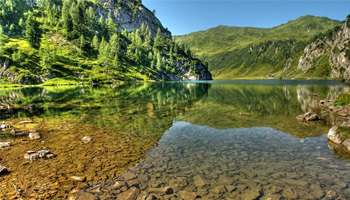 It&apos;s to protect their homes by keeping them at a constant water level. Beavers and their dams play an important role in nature. Because of the dramatic effects their dams have on surrounding ecosystems, these mammals are considered a keystone species. By constructing dams they create wetlands –– lush environments which attract fish, ducks, frogs and other creatures. Unbelievable acts with big teeth? These trees, up to 250 mm (9.8 in) in diameter, were felled by beavers in one night. Based on experiments with both free living and captive beavers, researchers found that the sound of rushing water was as annoying to a beaver as the sound of fingernails on a blackboard is to humans. 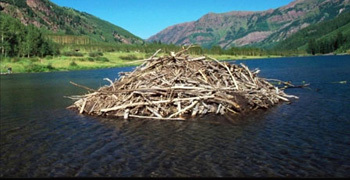 And that beavers will pile up sticks and mud in any spot they hear that sound until they can no longer hear it. This explains in one go – why beavers always pick the narrowest and most shallow section of stream to build their dams – it&apos;s because that&apos;s where the noise is. And they continue piling up sticks and mud in that spot until that annoying sound is silenced. In short, beavers build dams because they like peace and quiet. The dam creates a body of water that makes a relatively safe neighborhood for a beaver family. Since beavers are very good swimmers but fairly slow on land, deeper water creates a habitat where they can find more protection from bears and other predators. 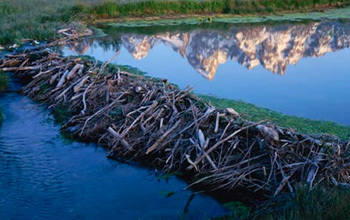 A Beaver Dam can turn a river into a relatively calm stream. Beavers are nocturnal but they don&apos;t spend all night in the ponds or slow moving streams created by their dams. Instead, they build lodges –– houses where a beaver couple and their children live. A group of lodges forms a beaver colony and houses multiple beaver families. Also just like men, they won&apos;t stop building until the job is done – resulting in some massively huge dams being built along large rivers. The largest beaver dam was over 2,750 feet long. These dams are the only animal–created structures that can be seen from space! Preferred sites for damming Beavers build dams in low lying areas with shallow, moving water. Beavers typically start building dams in low lying areas with shallow, moving water. They select sites based primarily on topography and food supply. Preferred sites for damming will be in areas where the dam will flood a large flat area and there are plenty of desirable woody plants for food in the vicinity. Streams that are more than two feet deep or have strong currents are not generally dammed. Beavers often situate their dams where there are constrictions in the stream flow (natural or man–made). This is why beavers have a strong propensity to dam culverts. For relatively little work they can create a large dam and pond. Each beaver colony will usually establish one large pond where they will build their lodge. In addition to this primary pond other smaller dams up and downstream are usually built to create smaller ponds. These smaller ponds permit safe travel for the beaver as it seeks out new food supplies. The average beaver colony will dam a half–mile length of a small stream. They will utilize natural or man made objects such as a rock out cropping or a man–made stone wall, a constriction in the stream bed, a tree stump, etc. to anchor their dams. So while somewhat predictable, they can select from a wide variety of spots in which to build a dam. Beaver repairing its dam! Beavers constantly repair their dams and lodges, and the dams grow to be very large. 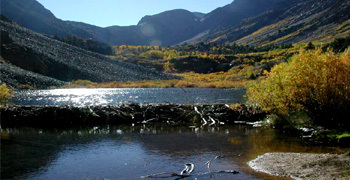 The dams are constructed by moving mud, stones, sticks, and branches across a shallow stream. Beavers use their forepaws to move mud and small stones from the stream bottom to the dam site. Large sticks and branches are towed to the site with the beavers large incisors and are used to support the dam and keep the other components in place. The females are the most active in dam building, though all adults and yearlings may take part. Most of the construction takes place at night. The beaver family builds its dam with logs, branches, plants, and rocks plastered together with mud. Building up from the bottom, the beavers use poles to strengthen the dam. Then they add more twigs, brush, water plants, and mud. When finished, the top of the dam is above water. Beavers constantly repair their dams and lodges, and the dams grow to be very large. They even dig canals from wooded areas to the water to transport logs that are too heavy to carry over land. Mastering the hurdles Beavers swim up close to the trees and retreat to the water quickly if they sense danger. A large dam can be up to 10 feet (3.3 meters) high and tens of feet wide. Just like they make lodges, these rodents use just about anything they can put their paws on to build their dams. This includes sticks, rocks, mud, grass and even trash discarded by humans. 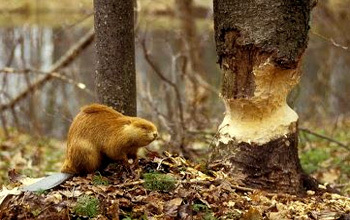 To get the large branches for the dam&apos;s base a beaver may chew through trees up to several feet thick. Beaver dams act as natural filters Today there’s growing awareness that beavers don’t just rearrange ecosystems – they make them healthier. Aside from making cozy homes for their families and their friends, beavers play a leading role in nature&apos;s big picture when they build dams. More than most other environments, wetlands depend heavily on beaver dams. Although in the United States they&apos;ve suffered from urban development and pollution, wetlands host a variety of animal species. One nonprofit organization devoted to beavers claims that almost half of endangered and threatened species in North America rely upon wetlands. Wetlands also absorb large amounts of water, which counteracts the effects of heavy rainfall and can prevent potential floods. In addition, beaver dams act as natural filters that keep sediment and toxins from flowing into streams and on into oceans. Studies in Colorado and Canada have shown that beaver ponds make droughts less devastating by raising groundwater levels and keeping soils moist in the absence of rain. Beaver dams can cause flooding. Although beavers play an important role in the ecosystem, they can also cause problems that are sometimes more than a nuisance. Beaver dams can actually cause flooding. This can wipe out land that farmers need for crops or livestock. Experts estimated that the U.S. timber industry suffered more than $22 million in damage in a single year due to flooding caused by these dams. It doesn&apos;t stop there. This flooding can endanger public safety by saturating the soil and making roads, bridges, train trestles and levees (An embankment built to prevent the overflow of a river) unstable. Also, beavers, with their sharp teeth, can chew through valuable, rare or important trees, and felled trees can pose a hazard to utility lines and buildings. Beaver pipes, a way of controlling beaver activity in an ecosystem To divert water downstream while allowing beavers to continue to build their dams to whatever size they choose beaver pipes are built. 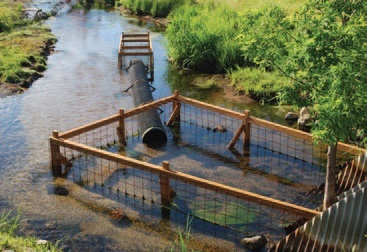 Government agencies, environmental organizations and others work with landowners and farmers to come up with environmentally responsible methods of beaver dam control. 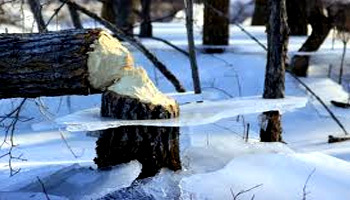 Sometimes it&apos;s by humanely trapping and removing the beavers, although more beavers often move in. In other cases, landowners use beaver pipes to control and prevent flooding caused by dams. Yet others build pre–dams i.e, fences that encourage beavers to build in a desired location. Another tactic is to install specially designed fences in waterways to keep beavers from building there in the first place. Low–voltage electric fences are also used to keep beavers off of land –– a concept similar to fencing cow pastures. What&apos;s more, some people paint trees with a special repellant that keeps beavers away. Homeowners can wrap the lower portion of smaller trees and ornamental shrubs with wire, but it&apos;s not effective for keeping beavers from chewing on large trees.